Hi everyone!! I'm Jennifer Donovant from iwanttobeaworker.wordpress.com and knitogether.wordpress.com which is a co-blog between my sister and me. I am so excited to guest here on Blissful and Domestic!! 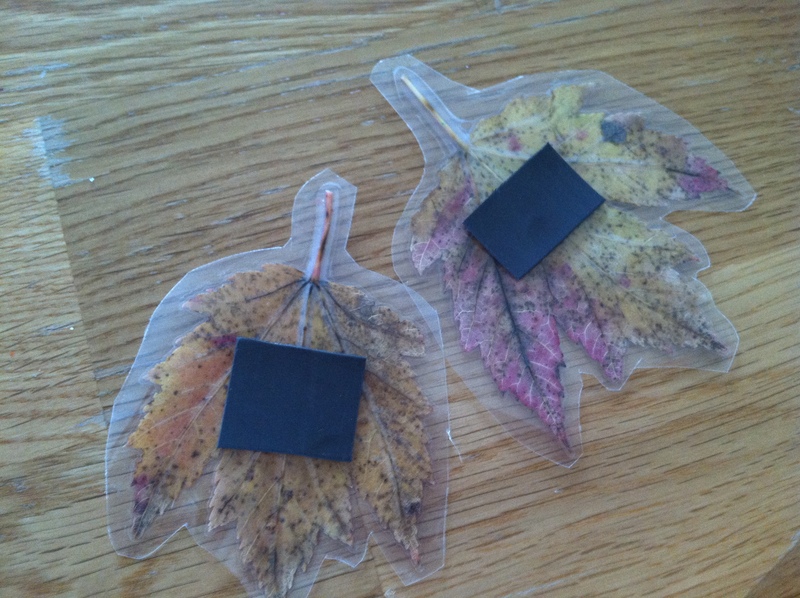 I simply laminated some of the leaves and then added magnet strips to the back and we have leaf magnets! 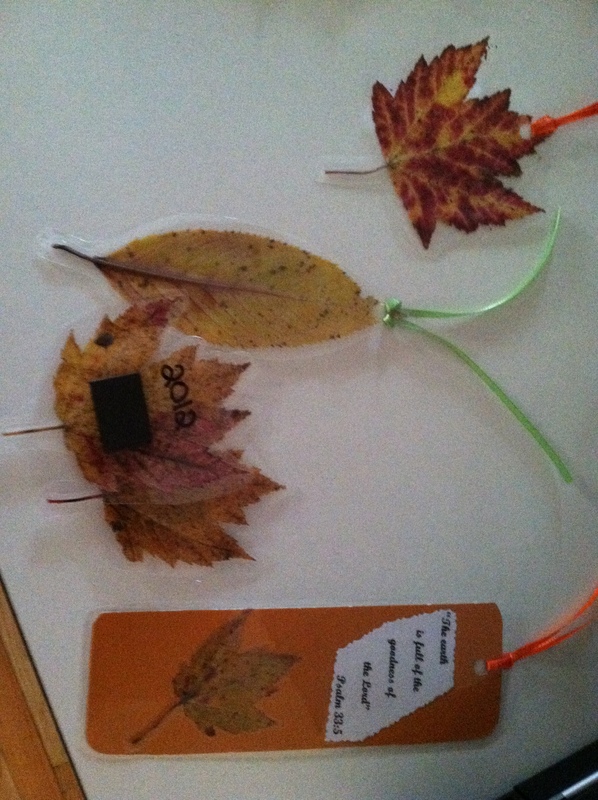 Others I laminated, used a hole punch, added ribbon, and viola a leaf bookmark! Super simple and very cute!! Two of them I did with a Bible verse. I picked the verse I wanted, typed it up, printed it, and then cut it out with fun scissors to make the edges pretty. 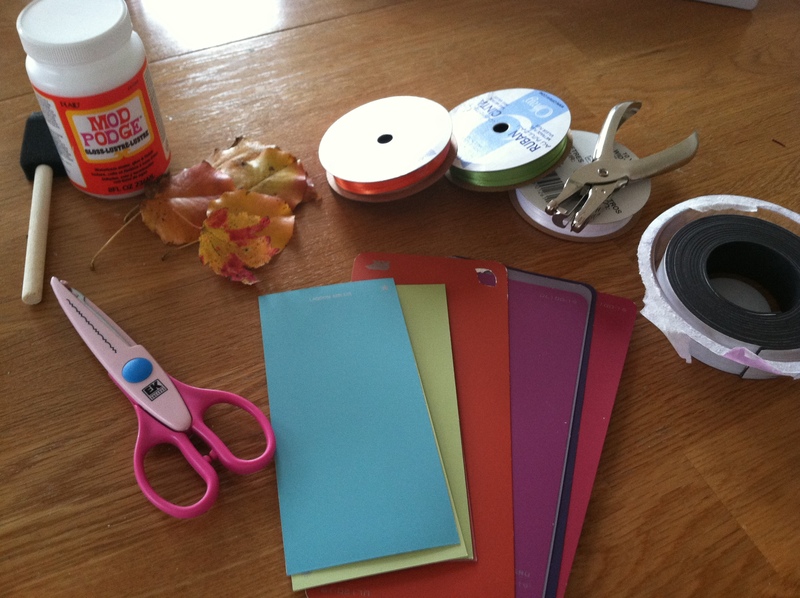 To make the bookmark itself, I was going to use card stock (I buy the scrap booking packs from Wal Mart for $5) but I then remembered I had several paint sample cards...those are free! So I took a paint sample card and cut out my bookmark using an old bookmark as a guide. 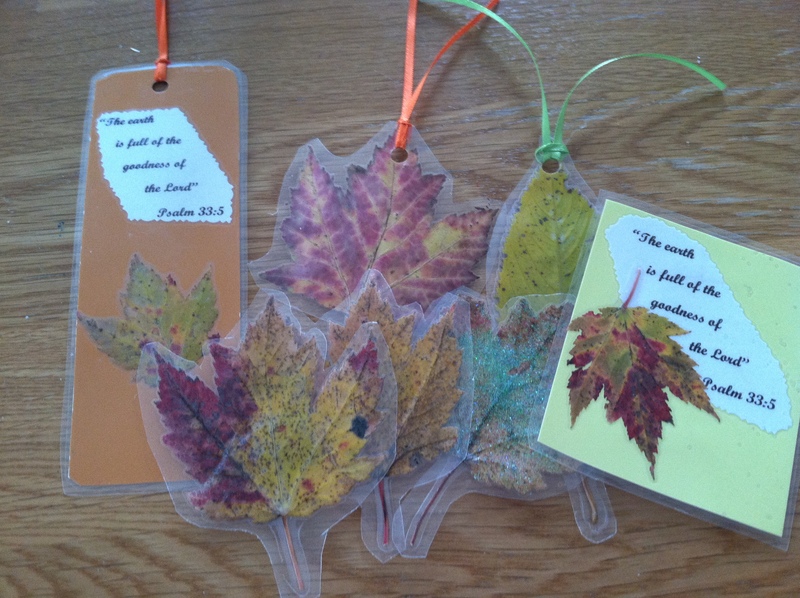 Then I stuck the verse to it via modge podge, added a leaf to the bottom, laminated it, cut it out and made a very cute bookmark! For another I played around and just stuck the verse to a paint sample card, then decided what I thought would be cute. So ended up cutting that one out into a square shape, added a leaf, and laminated. It turned out being my favorite! I made it a magnet and put it in a birthday card to an aunt. Everything we made was pretty, easy, fits into a card, cost very little, and I think people will enjoy getting them....I know I would. Love this idea! 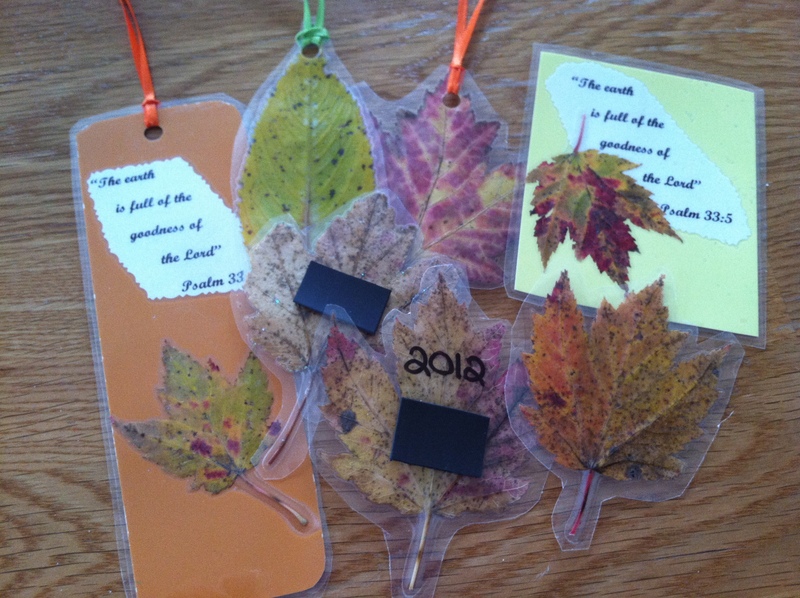 Combining God's beauty with God's word, what could make a better gift! Thanks for sharing!! !